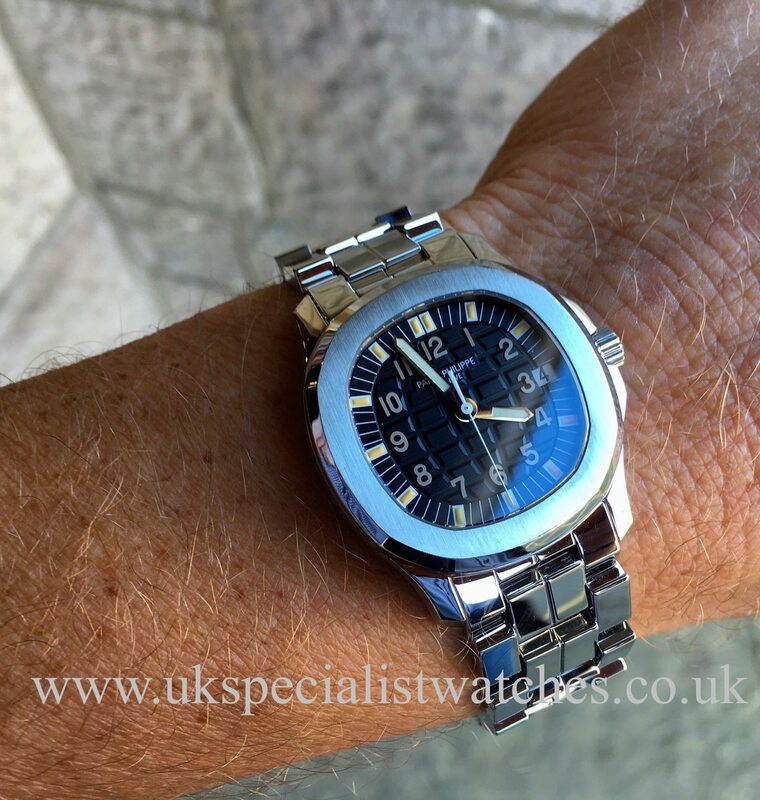 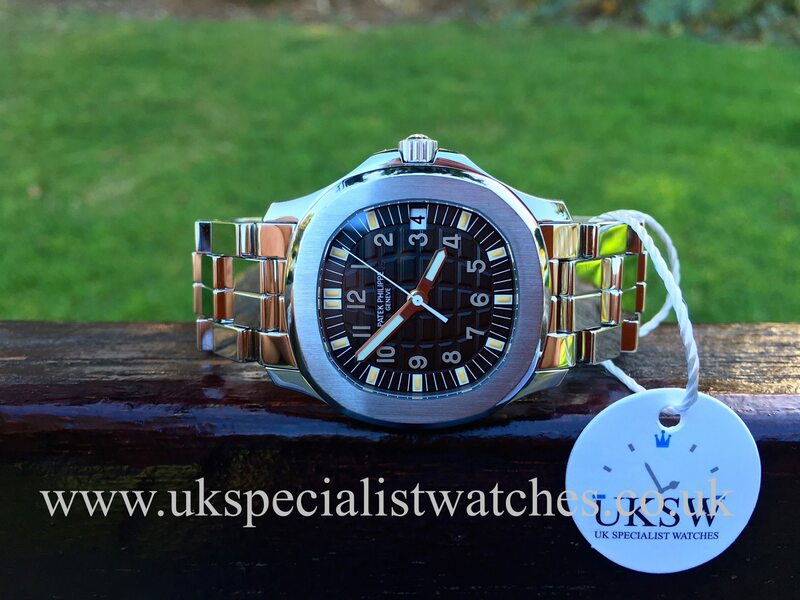 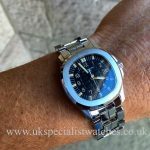 Patek Philippe Aquanaut 5066-1A with a 36mm stainless steel case with beautiful sapphire crystal glass case-back display, exposing the 330 SC Automatic self-winding movement. 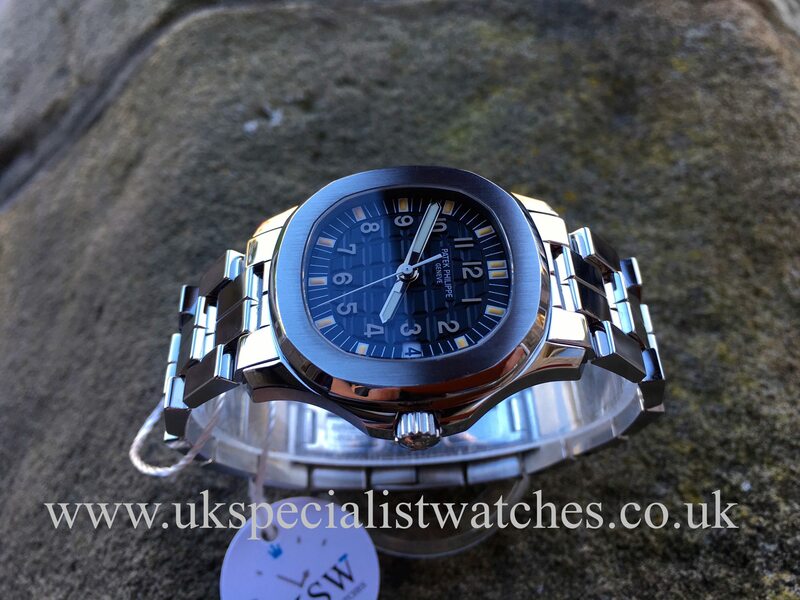 Stunning black “Tropical” tapestry dial with luminescent hands and silver Arabic numerals. 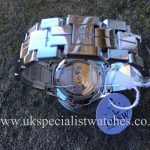 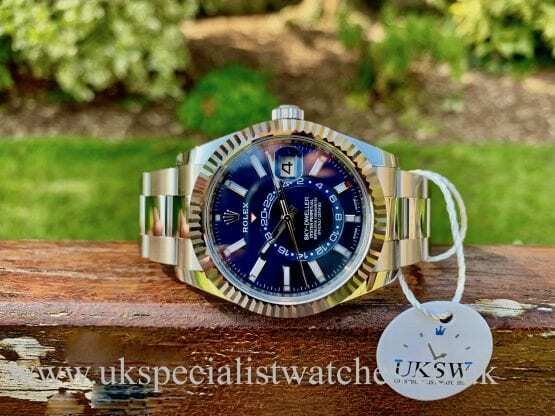 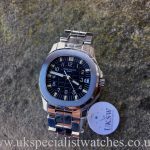 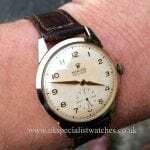 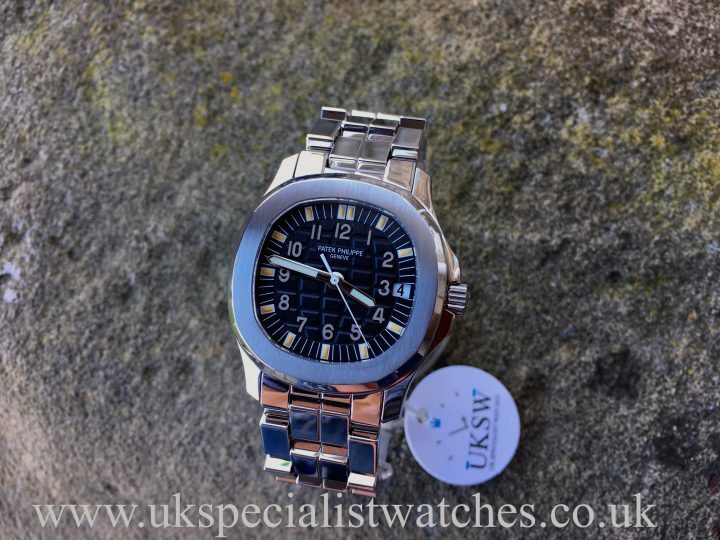 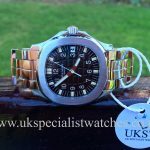 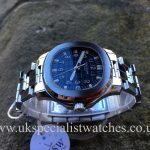 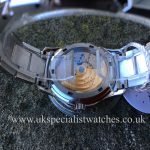 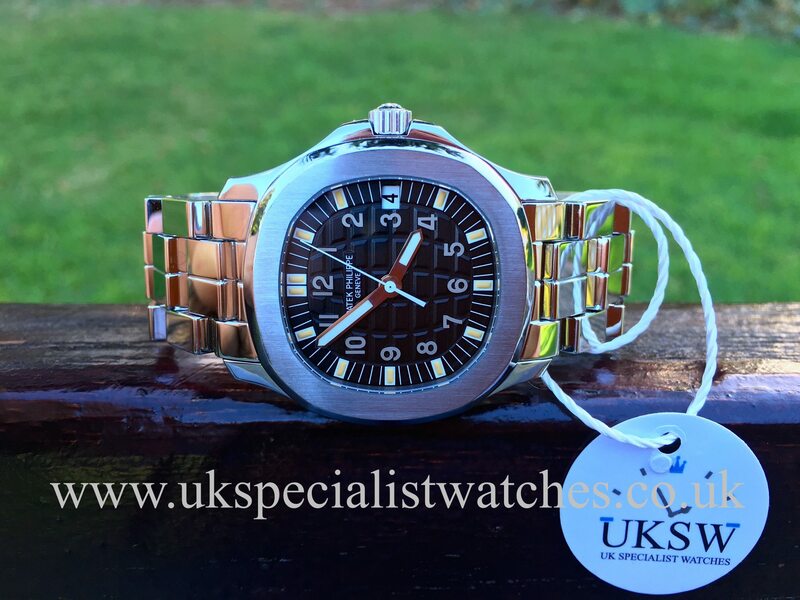 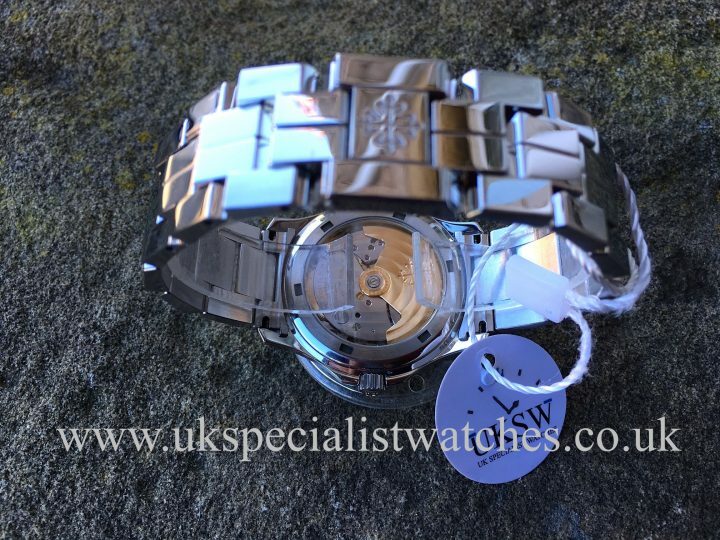 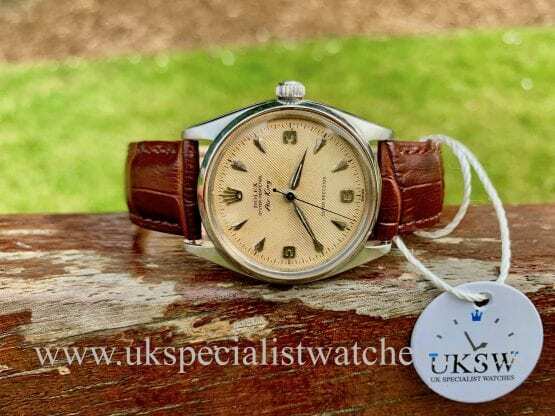 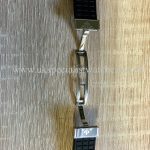 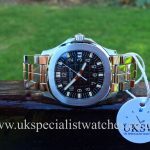 Fitted to a rare highly polished Patek Philippe stainless steel bracelet with double folding clasp and we also have the genuine original black rubber strap with a stainless steel buckle. 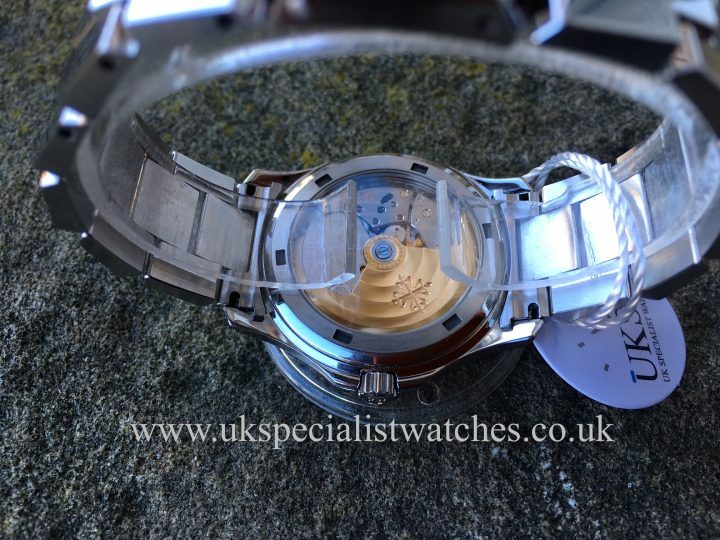 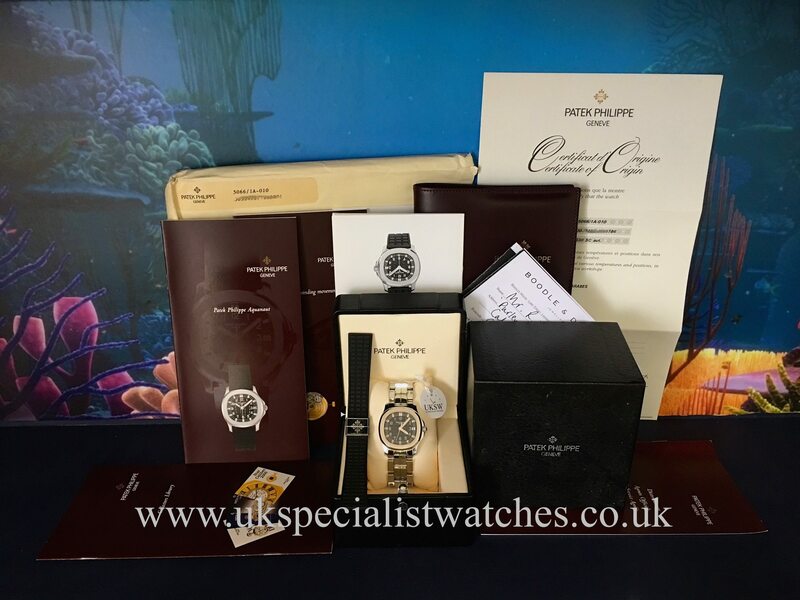 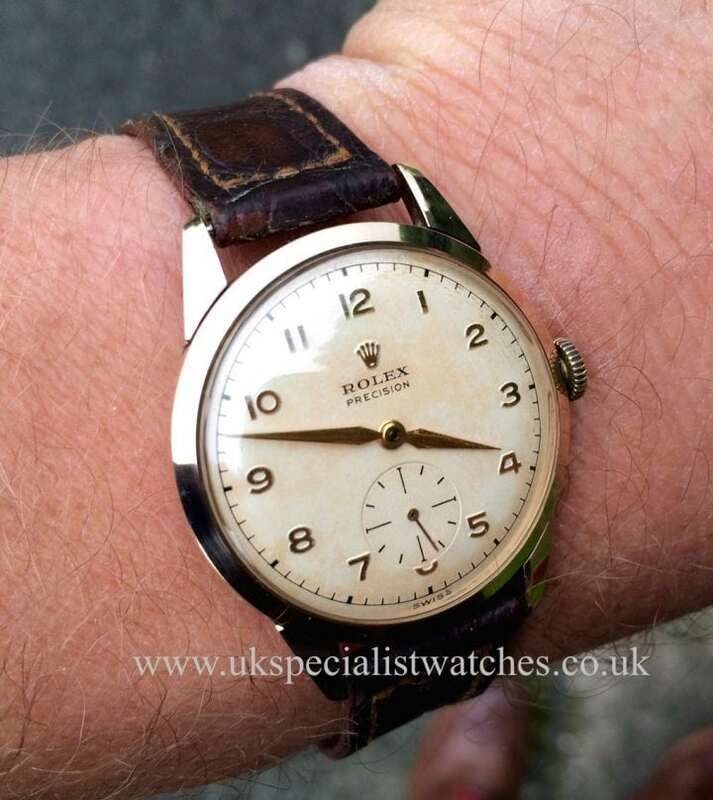 Our stunning one owner example was UK supplied at Boodles & Dunthrope in December 2003 and comes complete with stamped Patek Papers, original purchase receipt, leather wallet, booklets and box. 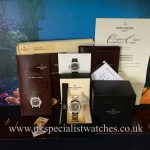 This rare model is now discontinued making it a fantastic investment opportunity.